Amazon recently launched the Fire Tv Stick in the Indian market for a price of Rs 3,999. Several amazing offers are available with its purchase from Amazon store. Do you want to watch the Oscar winning Hollywood movie “Suicide Squad” or the popular movie from south India “Baahubali: The Lost Legends” or enjoy the special stand-up comedy by Kenny Sabastian on your HDTV? You can now do these by purchasing the Amazon Fire TV stick with voice remote. Amazon on Wednesday, April 19, 2017, launched its Fire TV stick with voice remote for Rs. 3999 for Indian users. The Fire TV stick can be plugged into any HDTV and users will have access to Amazon’s 100s of Hindi and English movies. The Amazon Fire TV stick offers 1080p HD quality videos even in low bandwidth conditions. The stick has been specially designed with features that will improve the TV experience for customers in India. 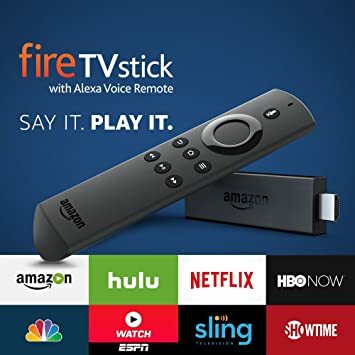 The Amazon Fire TV stick is powered by a quad-core processor and allows a voice-enabled command to search for Hindi and English videos across the Amazon.in store. The Fire TV stick along with the voice remote will be available on the Amazon India website, mobile app, major electronic stores like Reliance Digital, and Croma stores across the country. According to the VP of Amazon Fire TV, Mr Marc Whitten, the Fire TV stick will offer access to a wide range of movies, TV shows, Apps, and Video titles designed to meet India customer tastes and expectations. He also added that the Fire TV stick also comes with voice search features for the video titles. The media stick will support HEVC content as well as 802.11ac MIMO Wi-Fi. Customers who purchase the media stick and also sign-up for the Amazon Prime yearly subscription before May 31, 2017, will be able to avail the introductory offer of Rs.499 credit back to their Amazon Pay wallet balance. Other offers include 100GB free data for Airtel broadband or 4G Home Wi-Fi users, up to 240GB of free data for YOU broadband users, six months of unlimited ad-less music for Gaana Music lovers and more.